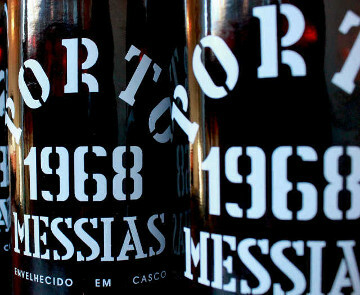 Making an excellent 51 year old wine gift for a birthday or anniversary, 1968 Port wines follow a strong run of vintages in the 1960's. The summer was hot and dry with no rain whatsoever in June and July, and only a little in August and September. The harvest should have produced solid good wines. However, only a few vintage ports (Sandeman) and Single Quinta ports were declared. There are still a few Colheita ports available which are drinking very well but stocks are tiny. These bottles are now very rare! Colheita Port (includes leather effect gift box with silk liner). Vintage Wine and Port have secured a few ultra-rare bottles of 1968 Sandeman's Port. These bottles are of exceptional provenance - they are library stock released exclusively to VWP from the Sandeman Cellars in Oporto.